The Russian Parliamentarian Club at the State Duma of the Russian Federation was founded jointly by the deputies of the first convocation and by the Russian Federation Chamber of Commerce and Industry, Russian Union of Industrials and Entrepreneurs, Association of Russian Banks, Union of Oil and Gas Professionals, Union of Russian Shipowners, Russian Energy and Technology Congress, International Union of Lawyers, Moscow Press-club, Gild of Press and PR-Professionals. The Club was registered by the Department of Public and Interregional Affairs of Moscow administration as a non-commercial partnership on July 9, 1996. The Club's priority goal is the organization of contacts between the deputies of the State Duma of the Russian Federation and the Federation Council members and social, financial and government circles of the country with the goal to reach a complete understanding of the legislative, governmental and national business structure. During the period from 1996-2009 more than 350 events were held by the Club with the participation of over 450 deputies of the State Duma of the Russian Federation and the Federation Council members, ministers, Cabinet officials, mayors and governors of the regional administrations, mayor of Moscow, financial experts such as Chairman of the RF State Bank etc. The club extends the range of its activities by cooperating with the regional representatives - heads of the subjects of Federation, local legislative bodies, political party leaders and entrepreneurs. These activities have the support of the RF Federation Council Media Program. One of the said Program destinations is the work of the Press-Club launched in 1997. Its press conferences give an opportunity to the representatives of different branches of power to speak to the media on various economic and social issues nationwide. In 2008 the Board of the "Russian Parliamentarian” Club was expanded by the deputies of the 5th convocation: A.N.Tchilingarov, O.V.Morozov ("Edinaya Rossiya"), G.A.Zyuganov, I.I.Melnikov (KPRF), V.V.Zhirinovsky, M.I.Musatov (LDPR), E.G.Drapeko, G.V.Gudkov ("Spravedlivaya Rossiya"), I.V.Kirpichev (General Director of the Parliamentarian Club).A.N.Tchilingarov was elected Chairman of the Board, A.A.Tyagunov – Deputy Chairman of the Board. History of the 1st Parliamentarian Club at the State Duma of the Russian Empire. The Club Russian Parliamentarian carries out its activity within the framework of the traditions of the 1st Parliamentarian Club at the State Duma of the Russian Empire founded in 1906 (which celebrates the 100th anniversary of its foundation next year 2006). Its comparability with the laws of other foreign states. methods of working with Government (there used to be tensions between the deputies and the government. Prime-Minister Stolypin used to attend the meetings of the Parliamentarian club with the purpose of persuading the deputies to change their rigid position on the budget issue). The activities of the Russian Parliamentarian Club, though modified during the past century, pursue the same line. Associated members of the Club - legal persons sharing in financing of the Club's activity with the right of participation therein. And many other national political and administrative leaders. promoting the cooperation between legislatures on federal and regional level. An important trend in the inter-parliamentarian cooperation of the State Duma deputies consists in their activity within the framework of special inter-parliamentarian groups working with their respective partners abroad. In total, 72 of such inter-parliamentarian groups may be counted. One of the Parliamentarian Club's priority destinations is cooperation with foreign government clubs, having similar structure and purposes. In this context, the deputies of the State Duma of the Russian Federation visit their colleagues abroad and welcome them on the Russian territory, not only within the official negotiations' framework, but also in the informal atmosphere. The Committee on CIS Affairs and Contacts with Compatriots was founded within the State Duma, presided by Mr. A.A, Kokoshin (leader of a political party “Edinaya Rossiya” and member of the “Russian Parliamentarian Club”). Since the direction of the Club is interested in close contacts with compatriots, it coordinates its activity taking into consideration the projects elaborated by the Committee on CIS Affairs. The participation of the Club’s direction in the World Congress of Compatriots in Moscow, 2002, may be cited as an example of such cooperation. The Congress was attended by: President of the Russian Federation V.V. Putin. The Direction and members of the “Russian Parliamentarian Club” were also present (comments, photo). October 24-25, 2006 – the second Congress of Compatriots was held in St. Petersburg chaired by President V.V. Putin. The congress revealed the initiatives of the Russian President as to the support of Russian compatriots worldwide, their possibility of returning back to Russia among others. More than 600 delegates took part in the Congress, representing 80 world countries. The 100th Anniversary of the State Duma and of the pre-revolutionary Parliamentarian Club is planned to be commemorated by opening of the Club’s representation office in the downtown of St. Petersburg. On December 1-2, 2009 the Third Congress of Compatriots living abroad was held at the Pillars Hall of Unions inMoscow. President of Russia, D.A.Medvedev, spoke in front of the participants. The greetings from the Chairman of the Government of the Russian Federation, V.V.Putin, and Chairman of the State Duma, B.V.Gryzlov, were also read out. The Opening ceremony was conducted by the Secretary of State, Deputy Minister of Foreign Affairs of the RF, Deputy Chairman of the Government Commission on affairs of compatriots abroad G.B.Karasin. The ceremony was attended by: Chairman of the Federation Council of the RF S.M.Mironov, Patriarch of Moscow and all Russia, Cyril, Secretary of Security Council of the RF N.P.Patrushev, President of Tatarstan M.Sh.Shaimiev, Mayor of Moscow Yu.M.Luzhkov (member of the "Russian Parliamentarian" Club), Chairman of the State Duma Committee on CIS Affairs, V.Ostrovskii, First Deputy Chairman of the State Duma Committee on CIS Affairs, K.F.Zatulin (head of sector on CIS Affairs at the Parliamentarian Club) and other participants. General Director of The Parliamentarian Club, I.V.Kirpichev, Depute General Director L.V.Semiletenko, Expert Council Coordinator, S.D.Baranov, took part in the work of the Congress. 480 representatives of the Russian diaspora from 88 near-abroad and far-abroad countries, members of Coordination council of Russian Compatriots, members of International Council of Russian Compatriots, public officers from the Russian Ministry of Foreign Affairs, members of Federation Assembly of the RF, Federal and Regional authorities, public organizations’ delegations, clergy of Moscow Patriarchy and Russian Church abroad, representatives of traditional religions in Russia, culture leaders, attended the Congress. February 19, 2004 - a meeting was held between the direction of the “Russian Parliamentarian Club” ( A.N. Chilingarov, I.V. Kirpichev, L.V. Semiletenko) and the Executive Director of the Ukranian Deputy Club “Parliament”, V. P. Shestakov who has earlier participated in the round table held by the “Russian Parliamentarian” : “The Global Demographic Crisis and Russia”. February 21, 2004 - a solemn ceremony was held in the main concert hall “Rossiya” in commemoration of the 10th anniversary of the State Duma with the participation of the Executive Director of the Deputy Club “Parliament” at the Supreme Council of Ukraine, V. P. Shestakov. On February 21, 2005 a work meeting was held with the direction of the Deputy Club “Parliament” within the framework of the informal visit to Kiev of L.V. Semiletenko, Executive Secretary of the “Russian Parliamentarian”. The meeting was attended by the President of the Deputy Club “Parliament” M.V. 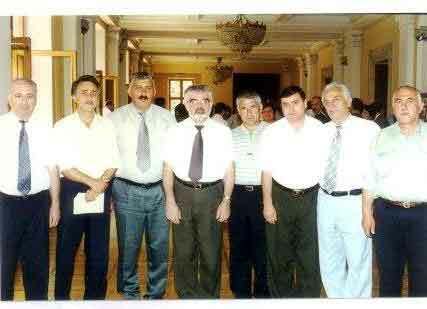 Bayrak (people’s deputy of Ukraine in 1994-1998) and the Vice-President of the Club, I.S. Tovkach. The meeting brought up the questions of a close cooperation between the “Russian Parliamentarian Club” and the Ukranian Deputy Club “Parliament” (see “People’s Deputy” magazine �2 – September 2005, Kiev). In August 2005 “The Russian Parliamentarian” held in cooperation with the Deputy Club “Parliament” in Sudak, Ukraine, an inter-parliamentarian billiards tournament with the participation of the deputies of the Supreme Council of Ukraine and of the Crimea. The Consul General of the Russian Federation in the Crimea, A.A. Nikolaev, was also present. April 27 , 2007 the "Russian Parliamentarian” hosted a meeting between its staff and N.V.Bayrak, chairman of the Ukrainian Deputy Club (DK) “Parliament”. The meeting was attended by: I.V.Kirpichev, L.V.Semiletenko, S.D.Baranov, E.A.Molodiakova, V.A.Krasnov, L.L.Shevchenko, V.N.Lizun, N.Mezentseva and A.Yusupov. On behalf of the "Russian Parliamentarian” Club, Natalie Mesentseva (Bagrationi) honored the Chairman of the Ukrainian Deputy Club at the Supreme Council of Ukraine by a "Peacemaker" medal. September 24, 2008 the Mayor’s office hosted an international conference "Ten years later. Results of the convention on friendship, cooperation and strategic partnership betweenRussia and Ukraine "organized by the Institute of CIS countries. The conference was animated by K.F.Zatulin , first Deputy Chairman of the Committee on CIS affairs at the State Duma of the RF and head of sector at the "Russian Parliamentarian” Club. The event was attended by major public and political leaders of Russia, Ukraine and CIS countries. January 28, 2009 the Institute of CIS countries held a Russian-Ukrainian round table in the building of Moscow city government ( Noviy Arbat, 36) on the subject «World Financial crisis and the Russian-Ukrainian relations». The conference was attended by the leading experts, political scientists and leaders from the two countries. The participants on the Russian side were: K.F.Zatulin, Deputy Chairman of the Committee on CIS affairs, S.Yu.Glaziev- Academician of the RussianScienceAcademy – both members of the "Russian Parliamentarian” Club; deputy A.V.Popov and others. On the Ukrainian side: O.A.Tsarev, V.V.Kolesnichenko – people deputies at the Supreme Council of Ukraine and others. The "Russian Parliamentarian” Club was represented by: I.V.Kirpichev, General Director, N.V. Kuryanovich, A.V.Fomenko- deputies of the 4th convocation, and by the staff of the "Russian Parliamentarian” – T.A.Borisova, N.V.Romashkina. On October 15-17, 2010, the "Russian Parliamentarian" Club at the State Duma jointly with the Deputy Club "Parliament" at the Supreme Council of Ukraine held an Inter-Parliamentary tournament in billiards in Sudak. The "Friendship Cup" brought together six teams from the State Duma of Russia, the Ukrainian Verkhovna Rada, Supreme Council of Crimea, Khmelnitsky Regional Council, Sevastopol and Sudak cities. On behalf of the Parliamentary club, the tournament was attended by deputies of the State Duma, members of the fraction "EDINAYA RUSSIA": A.V.Bednov, V.A.Vostrotina, A.A.Gubkin, V.A.Kazakov, O.V.Lebedev. The Supreme Council of Ukraine was represented by members of the Regional Party: V.S.Zubov, A.E.Kirichok, S.F.Mayboroda O.V.Nadosha and B.D.Deitch. The participants, guests and organizers of the tournament received the greetings from O.V.Morozov - First Deputy Chairman of the Russian State Duma, member of the Parliamentarian Club Council, A.N.Chilingarov - First Deputy Head of the fraction" EDINAYA ROSSIYA " and President of the Club as well as from I.V.Kirpichev, Director General of the Parliamentary club. At the end of the competition, the first place was given to the team of the Supreme Council of Crimea, the second - representatives ofKhmelnitsky region, the third – Sudak City deputies. The Russian State Duma team took the fourth place, Verkhovna Rada - the fifth and the Deputy club "Parliament" - the sixth place. The organizers of the "Friendship Cup" were: V.N.Serov - city council deputy and candidate to the position of Sudak mayor, N.V.Bayrak – President of Deputy Club "Parliament", President and its administrative director M.G.Zhivaev, from the Parliamentary club – General Director V.I.Kirpichev, Deputy general Director L.V.Semiletenko, Public Relations director E.A.Molodyakova, expert N.L.Shchegoleva and secretary N.V.Romashkina. October 22, 2007 - an official meeting was held in the Moscow city town hall (Noviy Arbat, 36) to commemorate the 5th anniversary upon the creation of the International Council of Russian Compatriots (MSRS). The meeting was attended by the representatives of the federal legislative and judicial authorities, by the Moscow city government officials, Russian clergy, diplomats, scientists as well as by leaders of MSRS member organizations from 53 world countries. The meeting was inaugurated by the Chairman of the MSRS Presidium, count P.P. Sheremetyev and by Mayor of Moscow, honorary chairman of MSRS, Yu.M.Luzhkov. Among the participants may be named the representatives of the “Russian Parliamentarian” Club: K.F. Zatulin, deputy of the State Duma and director of the parliamentarian section on cooperation with the CIS countries, I.V. Kirprichev , General Director of the Club and L.V.Semiletenko, Deputy Director of the Club and Deputy Chairman of "Sevastopol Compatriots Union” . The meeting was also honored by the presence of Admiral I.V.Kasatonov, ex-commander in chief of the Black Sea Fleet (1991-1992),first deputy commander in chief of the Russian military fleet (1992-1999) and honorary chairman of the "Sevastopol Compatriots Union”. October 23, 2007 - the “Russian Parliamentarian” Club held a meeting in the State Duma with I.V. Kasatonov, admiral and ex-commander of the Black Sea Fleet and with count N.D.Lobanov-Rostovskiy, member of the International Council of Russian Compatriots ( MSRS ). The results of the Second World Congress of Compatriots chaired by V.V.Putin which was held in St.Petersburg on October 23-25, 2006, were discussed during this meeting. October 24, 2007 - the “Russian Parliamentarian” Club held a meeting in the State Duma (Okhotniy Ryad) supported by the Parliamentarian Library with the participation of descendants of Mikhail Vladimirovich Rodzianko, chairman of the pre-revolutionary State Duma: his nephew M.O.Rodzianko and his great-nephew accompanied by his wife, P.P.Rodzianko. The meeting was attended by the Deputy Chairman of the Committee on cultural affairs of the State Duma, direction of the Club I.V.Kirpichev, L.V.Semiletenko, A.A.Tyagunov, director of the Parliamentarian Library, I.V.Andreeva. The guests visited the Assembly Hall of the State Duma, took memorable photos in front of the portraits of the State Duma members and were interviewed by the “Parliamentarian journal” (dated 26.10.07). November 3, 2007 the IntellectualCenter at the Moscow University of M.V.Lomonosov (Fundamental Library of MGU) hosted the First Assembly of the Russian World organized by the foundation “Russian World”. May 30, 2007 – the International conference “Compatriots and Russian regions” was held by the government commission on compatriot affairs abroad and by the Russian Ministry of Foreign Affairs. November 3-4, 2008 the foundation “Russian World” held a second Assembly of the Russian World in the Fundamental Libray of the MoscowUniversity. It was timed with the commemoration of the national Reunion Day. “Russian World in action” – such was the motto of the Assembly. The Assembly was attended by major Russian state leaders; by recognized Russian and foreign scientists; best teachers of the Russian language in Russia and abroad ; famous literary men, essay writers, editors, culture and art leaders; leaders of public organizations, diplomats, representatives of compatriot and youth organizations; representatives of religious confessions, different mass media and leading charity providers. The Assembly was assisted by the “Russian Parliamentarian” Club. The inauguration ceremony was animated by the following speakers: V.A.Nikonov Executive Director of the “Russian World” foundation, V.A.Sadovnichiy, Rector of the Moscow University, S.V.Lavrov, S.V.Lavrov – Minister of Foreign Affairs, A.A.Fursenko – Minister of Education, A.V.Ostrovskiy – Deputy of the State Duma, T.A.Zhdanyuk- Russian speaking member of the European Parliament. The Parliamentarian Club was represented by: I.V.Kirpichev, L.V.Semiletenko, E.A.Molodiakova, M.V.Smirnova. The Assembly received the greetings of the Russian President, D.A.Medvedev, member of the Federation Council S.M.Mironov, patriarch Aleksiy II, Mayor of Moscow Yu.M.Luzhkov. All these messages mentioned the importance of the foundation’s activity and expressed a hope for its success in all its beginnings. The inauguration of the Assembly was crowned by a concert of a famous French singer Mireille Mathieu who sang in Russian «Moscow suburb nights» and «Otchi Chernie ». December 5-6, 2008 the Library Fund«Russia abroad» held a 3rd report conference for the International Council of Russian Compatriots (MSRS). On behalf of the State Duma deputies, General Director of the Club I.V.Kirpichev read off the greeting to the participants of the conference signed by the First Deputy Chairman of the fraction «Edinaya Rossiya» at the State Duma of the RF and Chairman of the “Russian Parliamentarian” Board, A.N. Chilingarov. The meeting was opened by P.P.Sheremetyev, Chairman of the MSRS Presidium. It was then animated by G.L.Muradov , member of MSRS and representative of the Department of external economic and international affairs at the Moscow city government. The speeches at the conference were delivered by: A.V.Chepurin, director of Department on compatriot affairs abroad at the Russian Ministry of Foreign Affairs, V.Yu.Vinogradov, Deputy Mayor of Moscow, V.A.Nikonov , Executive Director of the «Russian World» foundation (member of the “Russian Parliamentarian”). December 6 2008 – hotel “Kosmos” hosted a solemn award ceremony organized by the MSRS Council and Moscow city government - "Compatriot of the year - 2008". The prize to the winner was delivered by the Mayor of Moscow Yu.M. Luzhkov. October 28, 2009 -The “Russian Parliamentarian" Club hosted the chairmen of "International Council of Russian Compatriots "(MSRS), count N.D.Lobanov-Rostovskiy and Executive Secretary of MSRS, E.S.Tabachnikov. On behalf of the "Russian Parliamentarian" the meeting was attended by: General Director, I.V.Kirpichev, Depute General Director L.V.Semiletenko. The participants discussed the coming Third Congress of Compatriots to be held on December 2 at the Pillar Hall of Unions. They expressed an importance of a wider representation of the Congress by the compatriots living abroad. On November 3 , 2009, just before the Day of People’s Unity, the Intellectual Center at the Fundamental Library of MSU hosted the Third Assembly of the “Russian World” in Moscow. The Assembly was held under the slogan "Peace of the Russian World". The opening ceremony of the Third Assembly was attended by: Executive Director of the “Russian World” Foundation, V.A.Nikonov, Deputy Chairman of the Government of the RF, A.D.Zhukov (both members of the "Russian Parliamentarian" Club), Patriarch of Moscow and all Russia, Cyril, Provost of MSU, V.A.Sadovnichii, Russian President’s Councilor, ex-ambassador of Russia in Ukraine, member of the Parliamentarian Club, V.S.Chernomyrdin. The Assembly received greetings on behalf of the President of the RF, D.A.Medvedev, Chairman of the Government of the RF, V.V.Putin, Chairman of the Duma, B.V.Gryzlov, Chairman of the Federation Council S.M.Mironov, Minister of Education and Science, A.A.Fursenko, Mayor of Moscow, Yu.M.Luzhkov. The following participants took part in the work of the Assembly: Director of the Department on cooperation with compatriots at the Ministry of Foreign Affairs, A.V.Chepurin, Executive Secretary of MSRS, E.S.Tabachnikov. On behalf of the "Russian Parliamentarian" at the State Duma of the RF it was attended by its: General Director, I.V.Kirpichev, Deputy General Director L.V.Semiletenko, Public Relations Director E.A.Molodyakova, Experts, S.D.Baranov and T.A.Borisova, secretary N.V.Romashkina, as well as by the board representatives of the "Sevastopol Union of Russian Compatriots" - N.N.Skupchenko, L.A.Kohanova and D.V.Litvinchuk. February 7 – 12, 2010 Moscow hosted the Second International Festival of Russian compatriots abroad "RUSSIAN SONG " dedicated to the 65th anniversary of the Great Victory. The event was organized by the Moscow City Government and International Council of Russian Compatriots abroad (MSRS). The Festival was attended by 500 Russian compatriots from 53 world countries. The Parliamentarian Club supported the "Union of Russian Sevastopol compatriots ("SSSR") represented at the festival by its two executives, Andrey Sobolev and Borislav Kurilo. The solemn opening of the festival was held on February 8, 2010 at the Concert hall "Izmailovo". The greeting speech was delivered by Deputy Mayor of Moscow , L.I.Shvecov, and by the President of MSRS Presidium, count P.P.Sheremetev. February 11, 2010 - the Pillar Hall of Unions hosted the final gala-concert of the "Russian Song". It was also marked by the delivery of solemn award from the Moscow City Government and International Council of Russian Compatriots abroad "Compatriot 2009". The awards were handed by the Mayor of Moscow, member of Parliamentarian Club, Yu.M.Luzhkov, and by the President of MSRS Presidium, count P.P.Sheremetev. The final ceremony was attended by: State Duma deputies, members of "Russian parliamentarian" club, G.V.Gudkov (deputy chairman of the Club’s board), V.A.Lekareva, T.V.Pletneva; deputy of the Moscow City Duma, E.V.Gerasimov, Director of Department on cooperation with compatriots at the Russian Ministry of Foreign Affairs, A.V.Chepurin, Head of Department on foreign economic activity and international relations at the Moscow City Government, G.L.Muradov, executive secretary at MSRS, E.S.Tabachnikov, director of Moscow House of Compatriot, Yu.I.Kaplun, honorable deputy chairman of "SSSR", major- general, ChF V.I.Romanenko and others. Among the award winners of “Compatriot 2009” was V.V.Kolesnichenko, deputy of Ukrainian Supreme Rada, chairman of All Ukrainian Human rights public organisation "Russian speaking Ukraine". He was awarded it for his "contribution into defense of rights of Russian speaking community in Ukraine". On November 3, 2010, on the eve of National Unity Day, the Foundation "The Russian world" hosted the 4thAssembly of the Russian World in the intellectual center - the fundamental library of Moscow State University (MSU). The main theme of the Assembly and its slogan were - "Teacher of the Russian world: mission and values." The event was attended by senior RF government officials figures, Heads of Ministries and departments, diplomatic missions, NGOs, associations of compatriots, honored Russian and foreign scientists, cultural figures, representatives of religious confessions, experts and media - over 1000 representatives from 70 countries. The opening ceremony of the 4th Assembly was animated by: Executive Director of the "Russian world" V.A.Nikonov (Member of the Club "Russian parliamentarian”), Patriarch of Moscow and All Russia Kirill, Rector of Moscow State University V.A.Sadovnichy, Minister of Education and Science A.A.Fursenko, Head of Federal Agency for CIS Affairs F.M.Mukhametshin, President of OAO Russian Railways V.I.Yakunin, filmmaker N.S.Mikhalkov, President of the International Association of Russian Language and Literature Teachers L.A.Verbitskaya, Director of the Institute of Philosophy A.A.Guseinov and others. The Assembly received greetings from the Russian President D.A.Medvedev, Prime Minister V.V.Putin, State Duma Chairman B.V.Gryzlov, etc. The Assembly was attended by member of the Federation Council A.S.Dzasokhov, Head of Legal Department of the "Russian World" Foundation V.B.Podmasko (member of Parliamentarian club), Count P.P.Sheremetev, Prince N.D.Lobanov-Rostovsky, Peoples Artist of Russia A.M.Vovk (leading expert of the Parliamentarian club). The "Russian parliamentarian" Club was represented by: General Director I.V.Kirpichev, deputy General Director L.V.Semiletenko, Public Relations Director E.A.Molodyakova, experts T.A.Borisova, I.A.Chechetkina, secretary N.V.Romashkina. The following partners of the Parliamentary club attended the Assembly: Board members of the Union “Russian compatriots inSevastopol” - N.N.Skupchenko, L.A.Kokhanova, K.F.Tsarenko, T.V.Godovalnikova, V.F.Kirpichev, V.N.Kirpicheva. May 4-5, 2006 – the First Information Forum was held in Minsk, Belorussia with the participation of Government and Cabinet Officials of the Republic of Belorussia, representatives of the secretariat of the Federal Union of Russia and Belorussia, representatives of the Organization of the Pact on Common Security. The Direction of the Parliamentarian Club, Mr. I.V. Kirpichev and Ms. L.V. Semiletenko took part in the event upon invitation of the Eurasian Academy on Television and Radio. The event was largely covered by the Russian, Belorussian press, the CIS and Baltic countries’ mass media. The organizers of the event: Government of the Republic of Belorussia, Parliament of the Federal Union of Russia and Belorussia, the International Media Forum on Antiterrorism, the Eurasian Academy on Television and Radio. Place of holding: Minsk, Palace of the Republic. The Direction of “The Russian Parliamentarian” plans to carry out the cooperation with the public organizations working at the Parliament of Belorussia and other CIS countries. February 2009 the direction of the “Russian Parliamentarian” Club held a meeting with S.G.Strelchenko, Secretary in Chief of the Parliamentarian Assembly for the Belorussian and Russian Union. The participants of the meeting agreed on holding joint events with a purpose of consolidating Russian and Belorussian parliamentarians. I.V.Kirpichev, General Director of the Club, proposed to create an analogue deputy club on the basis of the “Russian Parliamentarian” with its membership open to the deputies of the Russian, Belorussian and Ukrainian parliaments. His idea was welcomed by all the participants and it was to be presented for consideration at the next session of the deputy group responsible for the relations with Belorussian parliament at the State Duma of the RF. The meeting was also attended by the Club’s direction and staff: L.V. Semiletenko, E.A.Molodiakova and by V.V. Ivanetz, secretary in chief at the Parliamentarian Assembly. On April 2, 2010 the State Academic Minor Theatre of Russia hosted a solemn evening dedicated to the 14th anniversary of the Unity day between Russian and Byelorussian people. The event was organized by the Cabinet Council of the Union State, Parliamentarian Assembly of Russian and Byelorussian Union, Permanent Committee of the Union State. Deputy Minister on Foreign Affairs G.B.Karasin, read out the greeting speech of the Russian President, D.A.Medvedev, to the participants of the solemn meeting dedicated to the Union day between Russian and Byelorussian people. The guests were also addressed by: First Deputy president of the Russian Federation Council A.P.Torshin, Extraordinary and Plenipotentiary Ambassador of Belarus in the Russian Federation V.B.Dolgolev, Secretary of the Union State P.P.Borodin, as well as the Secretary of the Parliamentarian Assembly of Russian and Byelorussian Union, member of Parliamentarian club S.G.Strelchenko. The meeting was followed by a concert represented by the artists from the two countries, namely – people’s artist of RSFSR Sergei Shakurov, people’s artist of USSR Edita Pieha, people’s artist of the RF Yuri Antonov and others. On behalf of the "Russian parliamentarian" Club, upon invitation of the organizers, the evening was attended by: Research Advisor of Human Rights and Juvenile Jurisdiction Center (RGSU), member of Parliamentarian Club S.A.Glotov, General Director I.V.Kirpichev, experts T.A.Borisova, A.V.Arhipov, secretary-referent N.V.Romashkina. March 24, 2006 - N.N. Ashub, Chairman of Abkhasian Parliament, visited "the Russian Parliamentarian Club". The meeting was attended by the direction of the Club: A.N.Chilingarov, I.V.Kirpichev, L.V.Semiletenko, as well as I.A.Kiselev. The Chairman of Abkhasian Parliament answered the questions of journalist A.V.Arhipov. The Armenian Parliamentarian Club "Supreme Council" founded by the National Assembly of Armenia in 1996 is also among “The Russian Parliamentarian” contacts. The Armenian Club brings together deputies of the Supreme Council (the first Parliament) of Armenia ( 1990-1995), as well as deputies of the National Assembly of the last convocation. The activity of the “Supreme Council” Club is chaired by Ruben Torosyan. Upon invitation of the Pskov city administration and the Chairman of the CCI of Psko, Mr. V. Zubov, the Club's direction participated in the festive events dedicated to the 1100th anniversary of the Pskov city. Within the framework of this event, a visit to Estonia was also organized for the Club. The Club's delegation was welcomed in Tallin, Estonia, by Mr. K. Provalov, the Extraordinary Plenipotentiary Ambassador of the Russian Federation in the Estonian Republic. Under the auspices of the Union of Russian Citizens in the Baltic Countries, the Club's direction had a meeting with the Estonian Parliament (Riigikogu) deputies chaired by the deputy V. Velman. An excursion across the city of Tartu was also organized for the Russian guests. On October 12, 2006, V.A. Osipov, Deputy Chairman of the Eysk City Council for the years 1999-2006, visited the “Russian Parliamentarian” Club. Our partner fromKuban’ expressed his interest in developing the agricultural cooperation as one of the fields of activity and invited the “Russian Parliamentarian” Club to pay a return visit toKrasnodar region. June 4, 2008 - the “Russian Parliamentarian” Club was visited by the representatives of the Kaliningrad District Council. A contract was signed in the the State Duma of the RF on cooperation and associated membership between the Club and the «Institute of Applied Research » (Kalinigrad) ». V.V.Kafidov, Deputy of the Kaliningrad District Council and A.V.Yurchenko, Director of the Institute, participated in this event. The “Russian Parliamentarian” Club was represented by: I.V.Kirpichev, General Director, S.D.Baranov, coordinator of the Expert Council, E.A.Molodiakova, public relations director, T.A.Borisova, assistant to the General Director. The participants of the meeting agreed on holding joint events and seminars on the issues of Kaliningrad region’s development with the participation of the State Duma and Kaliningrad District Council deputies. Within the framework of this meeting, our guests also met with N.V.Sluchevskiy, the great grandson of P.A.Stolypin and with T.F.Shishanova, deputy chairman of the reception department at the Federation Council. On October 29 , 2009 the LLC RSU "Stroi-servis", St.Petersburg, became a new associated member of the “Russian Parliamentarian" Club. The General Directors of the two entities, I.V.Kirpichev and A.Sh.Sadygov, signed a cooperation agreement. The possibility of jointly holding the events in the northern capital, with the participation, of parliamentarian, business and creative circles, was discussed. The participants of the meeting expressed their interest in the possibility of opening a St.Petersburg representation office for the “Russian Parliamentarian" Club ". On March 16 and 31, 2010, the associated members of the Parliamentarian Club visited the State Duma of RF. Kaliningrad city was represented by: Director of "Institute of Practical Research " A.V.Yurchenko and Deputy of the District Duma V.V.Kafidov. St.Petersburg – General Director of LLC RSU "Stroi-Service" A.Sh.Sadygov. Tiraspol city (Pridnestrovye) - President of BF "Children Planet" M.V.Smirnova. The Club was represented by: General Director I.V.Kirpichev, Deputy General Director L.V.Semiletenko, Director on public relations E.A.Molodyakova. The future outside meeting of the Club in St.Petersburg was discussed. At the end of the event, the new members of the Club were given certificates of associated member of the "Russian parliamentarian” Club. They were also awarded memorable medals from the Communist part of RF dedicated the 90th anniversary of Leninskiy Komsomol and 130th anniversary of I.V.Stalin’s birthday. Since the activity of the Russian Federation delegations on the international scale contributes to the positive image of Russia worldwide, deputies of the RF State Duma take an active part in this process. The Committee on International Affairs presided by the deputy K. Kosachev (leader of a political party “Edinaya Rossiya”) was thus formed at the State Duma of the RF. The Committee is responsible for solving the problems dealing with the international security, foreign economic relations, fighting with terrorism. The Direction of the Parliamentarian Club works in direct cooperation with the Board of the Committee on International Affairs and plans within the framework of the club’s activities to contribute to the successful work of the RF State Duma deputies on the international arena. In November 2002 General Director of the “Russian Parliamentarian” Club, Mr. I. V. Kirpichev visited the United States within the framework of the U.S. Congress Program "Open World" (Washington D.C. and California). November 4-6 , 2002 – visit of the Library of US Congress, tour of the city and visit of the Capitol, the White House, the National Alley and the Memorials. November 6-14, 2002 – a number of meetings and events was held for the participants of the “Russian Leadership” program in San Diego (California): Chamber of Commerce and Industry of San Diego; Mayor’s office; University of San Diego; City police station; 10th TV Channel (KGTV channel 10); International Rescue Committee; Association of San Diego Taxpayers; Registration bureau for the San Diego electoral district (meeting with experts on pre-electoral campaigns and sociological data collectors); cultural program– visit of the Zoo and Sea World entertainment park. The “Russian Leadership” program was made up of the young leaders, heads of city and municipal governments of the RF regions. Among them, A.V.Torba –Deputy Chairman of the Kaliningrad City Council, M.A.Zagoskin – Deputy Chairman of Zheleznovodsk City Council, Yu.A.Agaptsov – Chairman of the City Council for the Serafimov region, district of Volgograd. Executive Secretary of the Club, Ms. L. V. Semiletenko visited the United States within the framework of the "Open World" program, "Women's Leadership" group (Washington D.C and Arizona). The participants of the program were also offered a tour around the US Congress and the Library of Congress. over the Grand Canyon, Oak Creek canyon and Sedon; visit of the legislative body of the Arizona state (Phoenix city), excursion over the historical museum, Senate and House of representatives; excursion over the towers hosting the executive and judicial power branches; meeting with a head of Marikopa district schools and founder of a homeless children school; visit of the school preparing women for the work in the public organizations and missions, University of Arizona (Phoenix city); meeting with the leaders of the “Women-electors League” for the Phoenix city, visit of the “Just elections” campaign premises; visit of the Art committee for the state of Arizona; meeting with the representatives of the American Association of Female University Alumnis ( AAUW) in order to discuss the problems of women organizations in Russia and in USA; Phoenix city, visit of the PreHab, family shelter and Fall House, shelter for women and children who had suffered from violence. December 1-15, 2005 – S.D. Baranov, Executive Director of the Club, took part in the “Open World” program on the subject “economic development and reforms”. The program was organized by the International anti-crime and anti-corruption Center (TraCCC). Place of holding : Washington DC and its neighborhood (Virginia and Maryland states). Within the framework of the program a number of meetings were held with a participation of the Federal U.S. institutions, as well as financial and international organizations, vital for the functioning of the US Government and Congress. A number of municipal meetings were organized as well. The most important of them were: U.S. Government Accountability Office (GAO) (analogue of the Russian Audit Chamber), responsible to Congress; Federal Trade Commission (FTC); Export-Import Bank of the United States; U.S. Trade and Development Agency (USTDA); International Finance Corporation; Washington Convention and Tourism Corporation (WCTC); National Community Reinvestment Coalition (NCRC); Navy Academy. September 2006, E.A.Molodiakova, public relations coordinator of the “Russian Parliamentarian”, visited the United States with the “Open World” Program, Section “Women’s Leadership”. September 2 – 9, the following meetings’ schedule was offered to the participants: excursion along the Seattle city embankment, boat trip to Tillicum Village; boat trip to the Bainbridge Island; tour around business downtown on a monorail: visit of the Municipal and District council, meeting with the Mayor of Seattle; trip to Olympia ( capital of the state), excursion over the Capitol and meeting with the governor, Christine Gregoire; trip to the city center and Seattle Port; excursion to Space needle, Flight Museum; meeting with the Rotary club members, Harbor Club; visit of theRotaryClubUniversity ( Isaquah Washington), study of the King County Library system and the Central Library of Seattle. Note: The idea of the program launched by the US Congress in 1999 was a joint initiative of Doctor Likhachyov, member of the Russian Academy of Sciences, and Mr. James Billington, Director of the US Library of Congress. The program “Open World” gives an opportunity to the Russian public and political leaders to make a short visit to the United States. The purpose of the program consists in strengthening a mutual understanding between the two countries by way of giving an opportunity to the Russian participants to see the political, social and economic aspect of the American society. October 28, 2003 The Board of the Club held a meeting with Mr. Jess Ford, Director on International relations and Head of the Trade Group at the Main Accounting Department of the United States (an institution analogue to the Audit Chamber of the RF) and the direction of the Center “Open World”. The meeting brought up the appointment of the “Russian Parliamentarian” as a nominating body for organizing visits of the State Duma deputies to the United States. The results of the visit made in 2002 within the framework of the “OW” program were also discussed. The General Director of the Club gave a positive and critical feedback as to the program. April 11, 2005 The Direction of the Club held a meeting at the State Duma of the RF with the US Ambassador and Member of the Board of Trustees of the “Open World” Program, Mr. James Collins. The meeting was attended by Deputy Chairman of the RF State Duma, Mr. Chilingarov and Deputy V.S. Katrenko. The meeting discussed the possibility for the “Russian Parliamentarian” direction to take a more active part in organizing the visit of the State Duma deputies to the United States. October 6, 2005 “A corner of the American Legislature” and an official transfer of the updated reference and guide books on the activity of the US Congress was held at the State Duma Library. The ceremony was attended by: on the American part – by an Extraordinary and Plenipotentiary Ambassador of the United States in the RF, Mr. William Berns, by the Director of the Library of the US Congress, Mr. James Billington, members of the Board of Trustees of the Library of Congress and of the “Open World” Program”, namely, Mr. John Collins (a US Ambassador in Russia in 1997-2001); on the Russian part – First Deputy Chairman of the State Duma, Ms. L.K. Sliska, Chairman of the Committee on regulation of the State Duma activity, Mr. O.I.Kovalyov, First Deputy Chairman of the State Duma , Mr. Yu.A. Bezverkhov, Deputy Chairman of the State Duma, Mr. O.V. Utkin, Librarian in chief (the Parliamentarian Library), Ms. I.A. Andreeva, General Director of the Parliamentarian Club, Mr. I.V. Kirpichev. On 10 December 2009 the 10th anniversary of "Open world" program in Russia was celebrated in Moscow. The solemn reception for the Russia alumnis of this exchange program was organized by the US Embassy. John Bayerly, the US Ambassador in Russia, spoke in front of the guests. The event was attended by: councelor to the secretary of SB of the RF, member of the Parliamentarian Club T.V.Chertorickaya, deputy of Moscow City Duma I.Yu.Novicki, ex- deputy of Moscow City Duma E.A.Bunimovich, Moscow coordinator of the "Open World" program A.Hilkov. Following the invitation of the US Ambassador, J. Baerly, the meeting was attended by the "Russian Parliamentarian" Club’s Direction and alumnis of the "Open World" program: General Director I.V.Kirpichev, Public Relations Director E.A.Molodyakova, Coordinator of Expert Council S.D.Baranov and Expert, T.A.Borisova. I.V.Kirpichev told J.Baerly that it was important new candidates among State Duma deputies and associated members of the "Russian Parliamentarian" Club be nominated for the participation in the “Open World” program. September 2005, Russian-Japanese forum "Peace and Concord". President hotel, Moscow. May 28 – June 1, 2006 - the first Russian-Japanese forum "Investment and commercial cooperation between Russia and Japan” was held in Osaka, Japan. The forum was organized by the representatives of the Russian and Japanese business and government circles. On the Russian part, the event was organized by the “Russian Parliamentarian Club” and the “Agency on international relations and cooperation”. The Japanese party was represented by: Kansai Economic Federation KANKEIREN, Organization on foreign trade development JETRO and Japanese Association ROBOTO on promoting the foreign trade with Russia and Eastern European countries. The Forum was held with the support of the RF Federation Council, the State Duma of the RF and Ministry on Economic Development and Trade of the RF. The Forum was opened by the General Director of the Parliamentarian Club, Mr. I.V. Kirpichev. He read out the welcome speeches prepared by Chairman of the Federation Council, Mr. S.M. Mironov and Deputy Chairman of the State Duma, President of the “Russian Parliamentarian” Club, Mr. A.N. Chilingarov and the Plenipotentiary Representative of the RF President in the Far East federal district, Mr. K. Sh. Iskhakov. On the Japanese part, the participants of the Forum were addressed by Mr. Masayuki Matsushita – Chairman of the International Group KANKEIREN, Vice-President of the company “Matsushita Electric Industrial” (more popular under a trademark Panasoni National). The main report on “Investment and commercial possibilities for Russia and Japan” was voiced by Mr. V.N. Likhachyov – Deputy Chairman of the Committee on International Affairs of the RF Federation Council (head of the Russian delegation). The speeches were also made by a Governor of Khabarovsk region, Mr. V.I. Syrkin, Deputy Governor of Nizhniy Novgorod region, Mr. V.A. Ivanov, First Deputy Chairman of Penza regional government, Mr. A.I. 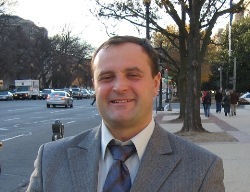 Chernitsov, an Extraordinary and Plenipotentiary Ambassador of the Japanese Ministry of Foreign Affairs in Kansai-Kishikhiro Amae, Japan. More than 300 participants, representing Russian and Japanese small, medium and large business, took part in the Forum. The speeches and reports delivered by the participants were dedicated to the development of commercial relations between Russia and Japan. The Forum was held with the support of the Trade Mission of the Russian Federation in Japan, of the Extraordinary and Plenipotentiary Ambassador of the Russian Federation in Japan, Mr. A.P.Losyukov and of the informational partner, magazine "Itogi". Within the framework of the Forum, the Russian delegation visited the Japanese Parliament. Upon invitation of the Japanese deputies, a meeting was held with the participation of Deputy Secretary General of the Liberal-Democratic party of Japan, Mr. Aisava Ichiro, and deputies Osami Uno and Yamana Yasukhidi. The Chairman of the Organization Committee, Mr. I.V. Kirpichev, presented the Japanese colleagues with souvenirs from the State Duma of the RF(leaflets, calendars commemorating the 100th anniversary of the State Duma). The Russian delegation was also welcomed by the higher officials of the Japanese Ministry of Foreign Affairs. Thus, Deputy Director of the European Affairs Office, Mr. Takeshi Yagi, emphasized the importance of the inter parliamentarian relations between our two countries. Within the framework of this visit a number of meetings were also held between the head of the Russian delegation, member of the Federation Council, Mr. V.N. Likhachyov, and the higher officials of Japan. September 25 – October 2, 2006 the second Russian-Japanese Forum “Peace and Concord” was held in Kyoto following the tradition of the forum organized in 2005, in Moscow. September 28 – October 5 the Forum “Peace and Concord” was followed by a Russian-Japanese conference “ Future commercial and economic cooperation in the sphere of medium and small business between Japan and Russia”. The conference was held in Kobe, Kansai region, Japan. It was associated with the future forum “A meeting of Russian and Japanese Economy”. On October 27, 2009 the direction of the "Russian Parliamentarian" held a meeting with a renowned expert on Japan, A. A.Belyaev and with a guest professor from the MSU Lomonosov Business School, a 33 year old Kiitiro Hatoyama, son of Japan’s Prime Minister, Yukio Hatoyama, great grandson of the Prime Minister Itiro Hatoyama. The General Director of the "Russian Parliamentarian" Club I.V.Kirpichev told the guests about the Club’s activities putting a particular accent on its experience of cooperation with Japan (in 2005 and 2006 The Club was a co-organizer of the Russian-Japanese economic forums held in Japan and in Russia). K.Hatoyama underlined the fact that he is not engaged in politics. He is currently living in the Russian capital, studying the Russian language and elaborating program for the Moscow city government on solving the transport problem and reducing traffic jams. The meeting was attended by Deputy General Director of the Club, L.V.Semiletenko, secretary N.V.Romashkina. February 2006 – Opening of the Italian branch of the Parliamentarian Club. The Direction of the Club envisages the inauguration of the Russian Deputy Club in Rome. The Association of Professional Advocates of Italy, represented by Mr. Luigi Morciani, became the associated member of the Russian Parliamentarian Club. 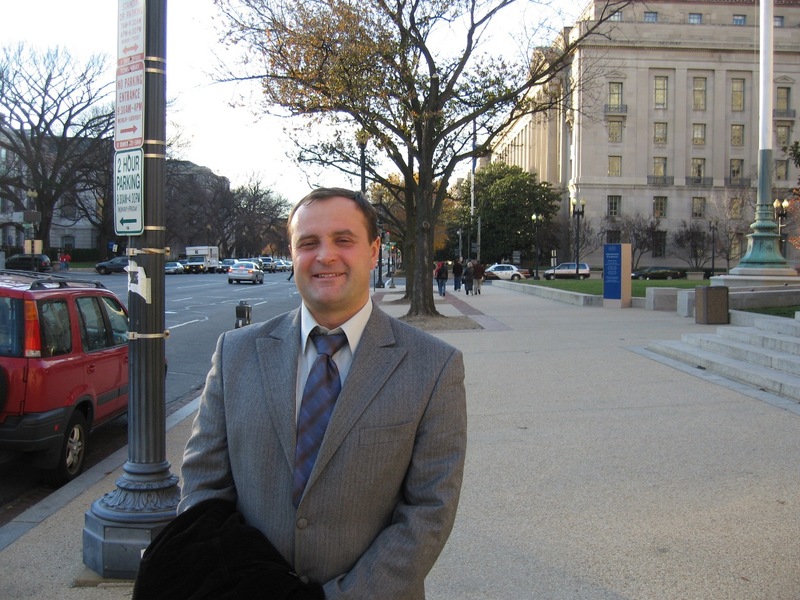 On April 10, 2009 a regular meeting of the “Russian Parliamentarian” direction was held at the State Duma with the participation of a plenipotentiary representative of the Club’s newly associated member, Mr. Alberto del Din. Mr. Del Din is a co-chairman at the Milano office of Paul Hastings, major Italian lawyer’s firm. The meeting was also attended by Franceska Iriti from the Italian general prosecutor’s office and by S.S.Shakhno. On the Russian side the meeting was attended by A.G.Nazariov, Deputy Chairman of the State Duma, I.V.Kirpichev, General Director of the “Russian Parliamentarian” Club, L.V.Semiletenko – Deputy General Director of the Club and N.N. Skupchenko - project manager of the club. The meeting was dedicated to discussing the forms of cooperation between the “Russian Parliamentarian” Club with the business circles and representatives of the Italian Parliament. It gave a start to renewing the Italian section of the Club. On May 18, 2010 the State Duma hosted a meeting between the "Russian parliamentarian" direction and the candidate for the associated member of the Club, Ruggiero Dicorato, president of the Cultural Association "Italy -Russia" (Italy, Barletta). The meeting was attended by the secretary of the Association Nicola Dicorato and Secretary of the Bulgarian Writers’ Union Dmitriy Gachev (Bulgaria). The Russian side was represented by: Deputy Chairman of the State Duma Committee on affairs of public and religious organizations S.A.Markov, General Director of the "Russian parliamentarian" Club I.V.Kirpichev, Deputy General Director L.V.Semiletenko, Director on public relations E.A.Molodyakova, representative of Moscow city government L.A.Egorova, representative of the Club’s associated member in Pridnestrovye M.V.Smirnova, expert N.L.Shegoleva and others. The meeting was dedicated to the discussion of cooperation between the Club with business circles and Italian Parliament, following the declaration of the Russian Head of Government V.Putin, and Chairman of Cabinet Council of Italy S.Berlusconi, on creation of joint organizations in Milano on the threshold of 2011, "the Year of Russian language and culture in Italy". On June 23 - 27, 2010 the Club’s direction made a tour of Italian cities, Rome and Milano. The visit was organized by the regional president of the Committee of the Union of Industrialists Italy (city of Asti) Pier Paolo Gerlone. The Club’s direction also met the Russian consul in Italy Oleg Terentyev, who wished the Russian compatriots good work and cultural activities in Italy. The Russian delegation visited the historic Roman places of interest – the Colosseum, St.Peter’s Square in Vatican. The last two days were spent in Milano, at one of the most ancient and spacious Italian villas of the XIVth century – villa San Carlo Borromeo. Here the villa owners welcomed Deputy Chairman of the «Russian parliamentarian» Club Council, Deputy Chairman of the State Duma Committee on Culture A.A.Tyagunov, General Director of the Club I.V.Kirpichev, Deputy General Director L.V.Semiletenko, expert T.A.Borisova,President of the Chamber of Commerce and Industry of the Khanty-Mansi Autonomous region A.I.Kobanov, secretary of Bulgarian Writers’Union D.G.Gachev, Ex-Member of Parliament of Greece Basil Katsikeyas. The outcome of the visit was the signing of contract on cooperation and partnership with «The International Fund - University of the Second Renaissance». It was the first visit to Italy for the Parliamentarian Club’s direction. It is interested in cooperation with Russian and Italian deputies of last and current convocations and in informal meetings between Russian and Italian officials. This could give the way to holding various forums, “round tables” within the framework of the Parliamentarian Club at the State Duma of the RF, regarding the issues of Russian-Italian cooperation. The Russian Parliamentarian Club at the State Duma of the Russian Federation, jointly with the International Oil and Gas Club, held an exhibition on contemporary Italian art, anticipating a cross cultural year of Russia in Italy and that of Italy in Russia. The exhibition was opened on December 22, 2010 on the premises of Moscow International Oil and Gas Club. Deputy Chairman of the State Duma Committee on Culture, Deputy Chairman of the Russian Parliamentarian Club’s Board A.A.Tyagunov, Director General of the Parliamentarian Club I.V.Kirpichev, President of the Oil and Gas Club N.A.Merkulova gave a greeting speech to the guests and organizers of the exhibition. The evening was animated by the Deputy Director General of the Parliamentarian Club L.V.Semiletenko. President of the Florentine Modern Art Gallery “Renaissance” E.Kayzman, was awarded a special diploma by the “Russian Parliamentarian” Club. She presented a collection of paintings to the attention of the guests who were thus introduced to a variety of trends in contemporary Italian art. The concert program of the evening was chaired by: People's Artist of Russia Yuri Rozum, solist of the Bolshoi Theatre V.Tikhonov, Kievsinger T.Kalinkina and others. The event hosted an auction representing the best artworks from the Florentine gallery and was conducted by the expert of the Club I.A.Chechetkina. The event was attended by: members of the Parliamentarian Club V.M.Iver and V.E.Zhuravlev, Chairman of All-Israelian Union of Russian communities (VORZ) M.E.Raif, president of the International Cultural Association on festivals and competitions on the Balearic Islands, Mallorca, L.M.Lapshina, President of the Foundation on Informational Policy development (FRIP) S.G.Kolesnik and others. On behalf of the Parliamentarian Club the event was organized by: Public Relations Director E.A.Molodyakova, secretary N.V.Romashkina. O.A.Pimenova, L.I.Kostsova also gave their assistance in organizing of the exhibition. On June 15 – 22, 2010 the Club’s direction visited Bulgaria, Sofia and Varna. Within the framework of this visit, the Club’s direction met Deputy Minister of Bulgaria for Industry and Tourism Ivo Marinov. In Varna they had a meeting with the Mayor Kirill Ordanov. The future of Russian-Bulgarian cultural, touristic and business cooperation was discussed during this visits. General Director of the Club I.Kirpichev expressed the idea that «Russia and Bulgaria are linked by a long century friendship, and citizens of ex-USSR keep the warmest human memoirs of the brotherly relations between Slavic peoples. It is currently important to reestablish and improve the economic and political cooperation between Russia and Bulgaria, as well as interpersonal relations between our people, thus fostering the cultural exchange». This visit to Bulgaria was organized by the president of Bulgarian Association for hotels and restaurants Blagoy Ragin, and President of Touristic Association of the Black Sea Coast «Golden Sands» Georgi Scherev. Mr. Ragin and Mr. Scherev gave a hospitable,most prestigious and friendly welcome to his Russian guests in Varna. Their Russian counterparts were thus given a proof that the leisure and medical procedures in «Zlaty pyaski» correspond to the best world standards. During their visit to Bulgaria, the Club’s representatives saw the rural town Kamchia and met the head of rural community K.Todorov. Mr.Todorov showed the Club’s direction around a new health complex for children that is being built on Moscow city government funds. According to him, a visit of high ranking Federal and Moscow city government officials around the local pioneer camp is planned in August-September 2010. The visit had thus both entertaining and business character. The Club was represented by: General Director I.V.Kirpichev, Deputy General Director L.V.Semiletenko, expert T.A.Borisova, professor of Journalist faculty from MSU L.A.Kokhanova. The visit was crowned by a press-conference for 15 representatives of Bulgarian media. 1 October 2003. The Direction of the "Russian Parliamentarian" Club organized a visit around the State Duma for 25 Dutch students from Groningen (Netherlands) –a student community at the United Nations. The young people thus got acquainted with the work of the deputy fractions represented at the State Duma. They also met the leader of the Russian Communist Party (KPRF), G.A.Zyuganov (member of the Club’s Board) and visited the headquarters of LDPR, "Edinaya Rossiya" and "Rodina". 18 May 2005 - following the request of the "Foundation for the development of informational policy " , the Club’s direction organized an excursion for the students and teachers from Belmont University (Nashville, USA) around the State Duma. The delegation thus got acquainted with the activities of the Parliamentarian" Club. The excursion was animated by the Club’s Secretary in chief, L.V.Semiletenko and guided by the associate professor at the MSU journalist faculty , S.G.Kolesnik. 3 November 2005 - following the request of the MSU Law faculty, the Parliamentarian Club’s direction hosted a delegation from the University of "St.Cyril and Mefodiy" from Skopye (Macedonia). The Dean of the Macedodian University, Gale Galev, together with his 30 students and teachers, learnt the structure and history of the Russian State Duma. The excursion was animated by the Club’s Secretary in chief, L.V.Semiletenko and guided by the associate professor of the MSU Law faculty , N.V.Ilyutchenko. To ensure a most successful cooperation between the Russian and foreign parliamentarians, the Club organizes business lunches, dinner meetings, cultural programs for the parliamentarian delegations in Moscow with the participation of the RF State Duma deputies and the Federation Council members, representatives of financial circles, supported by the media. On That same day the Club's direction participated in the opening ceremony dedicated to the memorial to Tsarina Ekaterina and prince Potemkin - founders of the first Russian settlements in Transnistria. On November 19, 2008 President of the Foundation “Children's Planet” (Tiraspol, Transnistria) M.V.Smirnova, received the certificate of the “Russian Parliamentarian” Club's associated member. The meeting was attended by the General Director I.V.Kirpichev and deputy General Director L.V.Semiletenko. The participants discussed the list of events planned for 2009, regarding the cooperation between the compatriots in Transnistria and Ukraine. November 7, 2007, following the invitation of the President of the Foundation “Children's Planet”, plenipotentiary representative of the Parliamentarian Club associated member M.V.Smirnova,- the Club's direction took part in opening of the Center “New Policy” Tiraspol, Transnistria. The opening ceremony was followed by a press-conference attended by representatives of local public and veteran organizations and covered by mass media.